Research studies highlight the tremendous healing powers of aloe when used both internally and externally. Some of the benefits include: as a pain and allergy inhibitor, for inflammation, fluid retention, perspiration odours, itching, hemorrhaging and to close cuts for cell regeneration and healing, to destroy parasites, harmful bacteria and fungi in the intestinal tract, to relieve bowel tension and help produce bowel movements, moisturise skin, increase blood flow, remove toxins and dead tissue, penetrate skin to reach tendons, muscles, joints and the lymph system, and promote the growth of new tissue. It also has a normalising action on fluid levels and the acid/ alkaline balance in the body. Research has shown that aloe vera can increase the proliferation of lymphocytes and stimulate natural immunity through killer cell activity. Aloe has a strong effect on the immune system, by activating and stimulating macrophages, monocytes, antibodies and T-cells, as well as increasing the number of anti-body forming Bcells in the spleen. One of the most important functions of aloe is to aid the digestive system. Poor digestion can be responsible for many diseases. Our food comprises proteins, carbohydrates and fats that must undergo a process of digestion, which consists of breaking down complex substances into simpler ones so they can be absorbed and used by the body. Aloe is able to assist the body by providing the active properties of a large range of amino acids, monosaccharides, fatty acids and enzymes that act as catalysts in breaking down complex foods so the body can assimilate the nutrients more efficiently. Considerable in-vitro and in-vivo research has been done with the concentration of mucopolysaccharides (MSPs) found in aloe vera. MSPs are long-chained sugar molecules, which are found naturally in every cell of the body, however, around the time of puberty, the body stops producing them. When taken internally, they have been shown to have immune stimulating effects. The MSPs of aloe vera interact with the body’s immune system, enhancing rather than over-riding this system. MSPs interject themselves into the cell membranes of the body resulting in much greater cell fluidity and permeability, allowing toxins to flow out of the cells more freely and nutrients to flow in. These nutrients include electrolytes and water, so the MSPs are able to facilitate absorbtion in the gastro-intestinal tract. The overall effect on the body is a rise in energy and cell metabolism activity which leads to a feeling of wellbeing. MSPs also act to protect cells from invasion by microbes such as viruses by setting up a protective barrier, which forms a lining on the colon and keeps toxic wastes from entering the body. MSPs will also lubricate the joints and relieve pain by dilating capillaries, which increases the supply of oxygen and blood to the area. Aloe vera’s properties are extraordinary and have been used to treat man’s many ailments from A to Z. Its uses and the conditions it may relieve include: abscesses, abrasions, acne, allergies, AIDS, anemia, arterial insufficiency, arthritis, athlete’s foot, asthma, bad breath, baldness, blisters, bed sores, bladder infections, blood pressure, bruises, bronchitis, burns, bursitis, bunions, bed wetting, boils, bone fractures, candida, canker sores, cancer, carbuncles, cataracts, cramps, chilblains, chemotherapy side effects, chapped skin and lips, coughs, colds and cold sores, colic, constipation, cystitis, conjunctivitis, colon cleanser, complexion enhancer, chicken pox sores, lowers serum cholesterol, convulsions, chronic fatigue syndrome, diabetes, dandruff, dysentery, depression, dry skin, dermatitis, denture sores, detoxifier, duodenal ulcers, oedema, Epstein Barr virus, earache, fevers, fungus, frost bite, fluid retention, gastrointestinal problems, genital herpes, gangrene, gingivitis, glaucoma, gynaecological diseases, gall ailments, heat rash, headaches, hemorrhoids, heart burn, high blood pressure, hang-overs, hives, heat exhaustion, insomnia, ingrown toenails, indigestion, insect bites, inflamed joints, jaundice, kidney infections, leprosy, laryngitis, lupus, liver ailments, leukaemia, lacerations, multiple sclerosis, mouth ulcers, moles, migraines, menstrual pain, nausea, nervous stress, nappy rash, obesity, psoriasis, prostatitis, pancreas problems, pimples, problems caused by protozoa (ringworm, fungi, virus), prickly heat, periodontal disease, radiation burns, rashes, scar tissue, skin lesions, stings, styes, sprains, sores, scalds, stretch marks, shingles, staph infections, sunburn, sore throat, stomach ulcers, sports injuries, sinus, sun spots, spurs, tonsillitis, tendonitis, trachoma, tuberculosis, tiredness, tropical ear, ulcers, vaginitis, venereal sores, varicose veins, worms, worts, wounds, X-ray burns, yeast infection and zoster (shingles). Sulphur, lupeol, salicylic acid, cinnamic acid, urea nitrogen and phenol which act as a team to provide antimicrobial activity thus eliminating many internal and external infections. The pain relieving action is due to the effective analgesics in salicylic acid, magnesium and lupeol. Fatty acids also have a pain reducing, allergy and inflammation relieving effect, and work to lower harmful cholesterol levels. Gels from Aloe vera have been compared to those derived from other aloe species and with other plants belonging to the family Asphodelaceae. Bulbine frutescens, for example, is used widely for burns and a host of skin afflictions. Aloe vera extracts might have antibacterial and antifungal activities, which possibly could help treat minor skin infections, such as boils and benign skin cysts and may inhibit growth of fungi causing tinea. 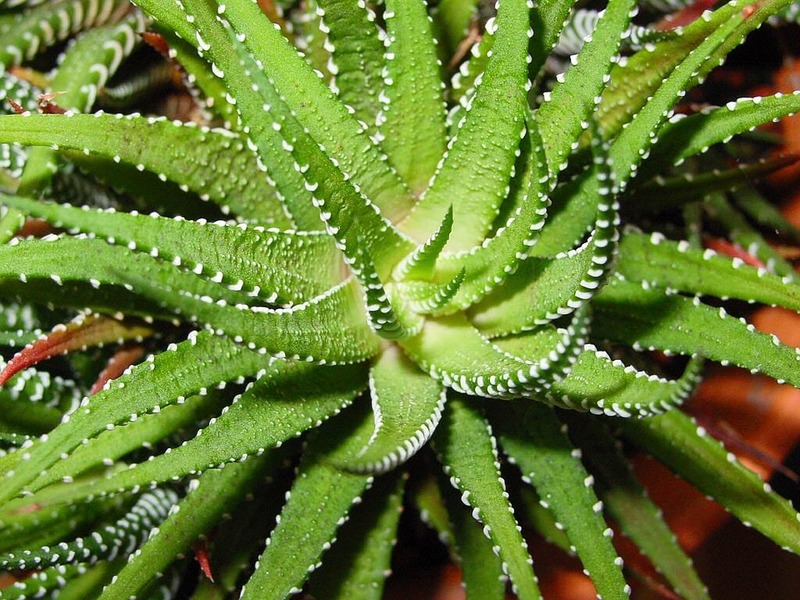 For bacteria, inner-leaf gel from aloe vera was shown in one study to inhibit growth of Streptococcus and Shigella species in vitro. In contrast, aloe vera extracts failed to show antibiotic properties against Xanthomonas species. 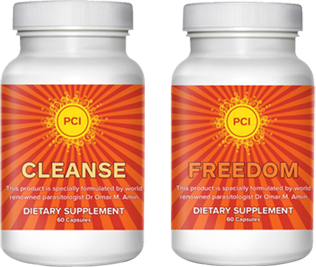 As a part of our currently discounted: Freedom, Cleanse, Restore herbal remedy kit.